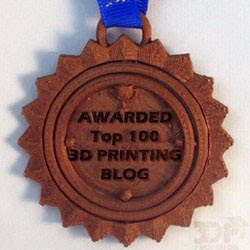 Joe's 3D Workbench: Are free 3D models holding 3D printing back? Are free 3D models holding 3D printing back? This is a topic that I've been stewing over for a while. Of course I want there to be a market for 3D printable models, but what if we're actually hurting 3D printing by our insistence that they be free? I'll admit it's taken me a lot to start charging for my models. That was mostly because paid 3D models was just "not the way it's done." But why not? Maybe 3D models shouldn't be free. Once I opened my mind to this possibility the reasons why they shouldn't be free came easily. Soon I was convinced that I needed to build up a paid library, though I recognized that was an unpopular opinion. Then, I made a comment on a video by Garrett from Chaos Core Tech suggesting to him that he should charge for his models. I backed that up with some of my thoughts on the subject. Still, and let me get on a soapbox here, the persistent attitude that 3D models should only be free is damaging to the future of 3D printing. Yes, freely sharing models got us where we are now, but I forsee a future where 3D printers are as ubiquitous as table saws because (1) they're cheap enough that there's no reason to get one and (2) there are so many good models out there that you'll always have what you want to print. Well, 1 is coming in October. Mattel's ThingMaker is a professionally designed printer for $300. However, #2 is never going to happen if we don't change people's minds about the monetary value of 3D models. Good designers are holding back, using lame excuses that will disappear if people were willing to pay for their work. So how to we change the minds of years of Thingiverse trained 3D printer owners? For one designers have to stop giving their work away for free. Of course the prices have to be reasonable, which is well less than most designers are willing to say they're worth. But think about this, you're not selling a thing, or a finished product. You're selling a template. And you're potentially selling hundreds of them. $1 or $2 a piece should be totally reasonable. Maybe as much as $4 for a whole chess set. We're clearly not there. I wouldn't call the models I've been selling as wildly successful. But maybe it's just a matter of gaining critical mass. After all there are a lot of minds to change, buyers and designers. But I don't want to give up. I have to believe that my time and effort is worth more than a nod. To my honest surprise I won Garrett over with this arguement. But I think you're right and I think you just blew my mind a bit. I hadn't really thought about this in the bigger picture of all designers and the precedent I'm setting. You've got an extremely good point there. Have you considered making a video on this subject? I think more people need to hear this. You've definitely given me a lot to think about. Thanks for sharing your perspective on this. Keep in mind I've had this opinion for over a year now and this is the first person I shared it with that didn't immediately shoot it down, and in fact agreed with me. Maybe I needed a year of stewing to be able to articulate it. Of course neither Garrett or I can claim to be impartial. We both make designs for 3D printing. So this could easily be viewed as us trying to convince the world of our own importance, and that may be. But that's not necessarily the case. So we decided to tackle this subject together, him addressing 3D designers who are stuck in the "that's the way it is" mindset, and me addressing the 3D printing users who think 3D models should be free. Without a doubt, the free exchange of STL files has had it's place. It, combined with the free exchange of ideas generally, can really be said to have brought 3D printing where it is today in a remarkably short time. And not just sharing models but the remixing of models and sharing those remixes. I myself have many, many 3D models that I can't claim sole ownership of, and nobody wants that to go away completely. Some of the best models on the internet come from these collaborations. However, as I mentioned above, the "free" market place turns away talented, professional designers who are accustomed to getting more than warm fuzzies and an "attaboy" for their time and effort. And in fact they deserve it. But so far no one, not one person, has managed to make any significant money selling 3D models. Why? Because there's no market. For one, other designers keep churning out free models of varying quality that dilute any potential market before there is one and, two, the current crop of 3D printer owners look at a paid model and say "Well, I could make that if I really wanted it, and besides, I've got all these free models that I'm not even printing, I'll pass." But as printers become ubiquitous this persistent attitude that 3D models should be free is going to cripple 3D printing. The idea that models have ever been "free" is a misnomer. Someone spent the time and effort to make the model. At best it could be considered a gift from the designer, but copyright laws mean it's not with no strings attached, even if you want it to be. And do people thank the designers for their time? It seems to me me most people take 3D models and 3D designers for granted, and that's not good for the professional designers that 3D printing is going to need to thrive. Both designers and 3D printer owners need a paradigm shift. But there are a lot of barriers still to overcome. For one, 3D model makers need to get over themselves and charge a reasonable price for their models, and they need to stop insisting on control of their models. In 30 years of software copy protection/DRM has only hurt itself and your paying customers. Streaming 3D models with the current crop of 3D printers is a stupid idea, and with the heterogeneous crop of 3D printers out there that ain't gonna change. Also, designers need to stop charging for untested models, and to be safe they should also avoid trying to make money off IP violations. Designers also need to do a better job of creating models that people actually want. Customer centered design. I know I need to work more on this. Another problem is that there's very few 3D printing market places that allow for 3D model makers to even charge for their models, and even fewer of those respect the designers and allow them to retain proper rights. And those that do exist are dwarfed by the monolith of Thingiverse, and Thingiverse so far adamantly refuses to deal in paid 3D models. Pinshape is the best I've found, with 3dSha.re being a close second, though it only has one paid option, $0.99. That's both good and bad. But there's also Cults3D, Shapetizer, and 3Dupndown so options do exist. We just need to stop running to Thingiverse anytime we want to print something. Use Yeggi, and favor the non-thingiverse links when options arise. That's what I do. Will 3D printing survive with the current mind set? Sure. Ain't nothing going to kill it at this point. However will it continue to thrive the way it has the past 5 years, the years that have caused people to make wild speculative predictions that have gone largely unfilled? I'm not saying it's not possible, but looking at the past couple of years, I don't see it happening. It's telling that in 3 years of maturity there's so little difference under the hood between my Rep 1 and my FlashForge Creator Pro that I don't need to change slicer settings between them. It seems to me 3D printing needs a shot in the arm. And that ain't gonna come from the outside. It needs to be us. Hey Joe - Kurt here! Yeah - I agree with you. Sure - I've posted a limited # of models for free on Thingiverse - but, they were essentially the most Simplistic of models. I have had people suggest in the past that I upload my Dragon model - which I find ludicrous - since they don't understand that my design time alone in creating may be pushing upwards of 100 Hours!!! So - yeah - cudos for these videos!